1 Million for Work Flexibility has more than 70 organizations on board to date as part of our coalition—and counting. We’re pleased to share more information about our supporter the Wharton Work/Life Integration Project in today’s “Spotlight On…” post. 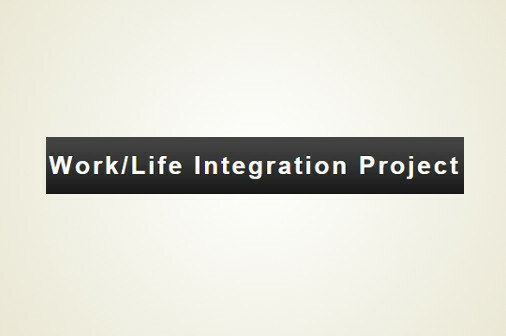 Founded in 1991 and the first initiative of its kind in a business school, the Wharton Work/Life Integration Project focuses on understanding and improving the relationship between work and the rest of life through a longitudinal survey program, field research, publications, conferences, teaching, and impact on social policy and organizational practice. The W/LIP encourages members of the Wharton community and others around the world to reflect on their values and interests and to explore what matters most, who matters most, and how to pursue careers that align well with one’s values. The W/LIP aims to contribute to the fields of organizational psychology and adult development and creates materials for courses on leadership, careers, and ethics. The W/LIP’s founding director is Stew Friedman, one of our field’s pioneers. Hundreds of students have contributed to W/LIP initiatives over the years, including Friedman’s most recent book, Leading the Life You Want: Skills for Integrating Work and Life, which draws on his decades of research, teaching, and practice as both consultant and senior executive. Students worked on producing Friedman’s MOOC, which in 2014 reached 94K+ students worldwide, and his radio show, Work and Life, on Business Radio Powered by Wharton. The show features world leaders as well as everyday people who appear with the goal of helping listeners create greater harmony among all areas of their lives. Sara Sutton, Founder of 1 Million for Work Flexibility, was interviewed on the show in June 2014. The W/LIP site offers free tools you can use to assess your leadership skills and help ensure the four domains of your life–work, home, community, and self (mind, body, spirit)–are aligned. Visit the W/LIP forum for original articles and the latest research and follow @StewFriedman on LinkedIn and Twitter for regular updates. 1 Million for Work Flexibility is proud to have the Wharton Work/Life Integration Project’s support as we work to expand access to work flexibility for employees across the country. For a full list of our supporter organizations, visit our Who We Are page.